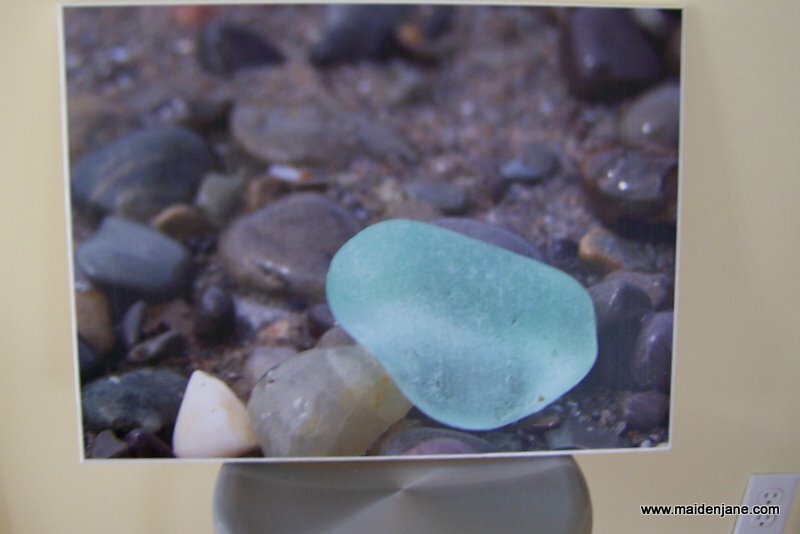 I have always loved this photo I took on one of my many expeditions to the beach in search of glass. Ever since my nephew-in-law-to-be (?) suggested I print it I have been thinking about where I could put it. 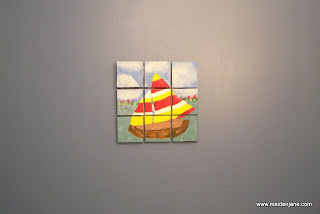 I have a number of nautical accents in my family room, but really have no wall space to place it. I have a small bathroom downstairs that does. It has the brilliant blue walls and white sink that you see in magazines that belong in a cottage house filled with white bead board and blue accents. 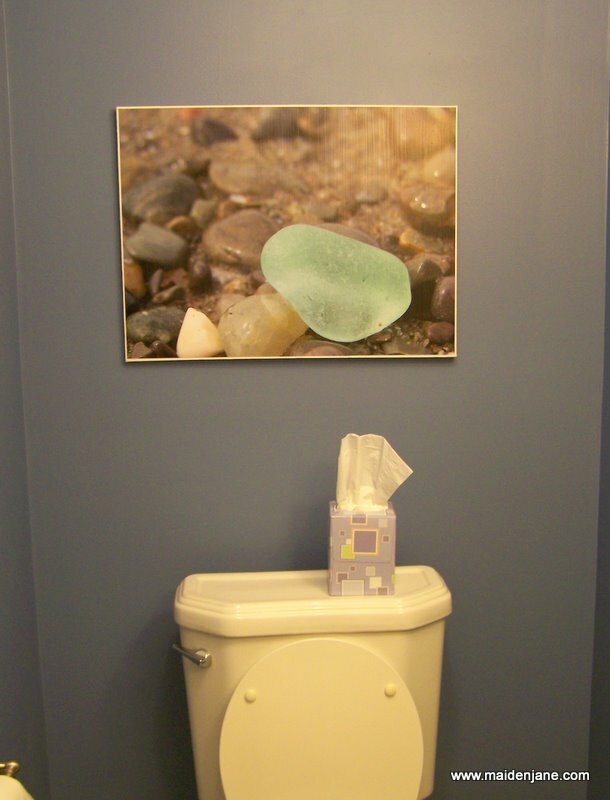 This bathroom comes off a room that is nothing like that, but a girl can dream. 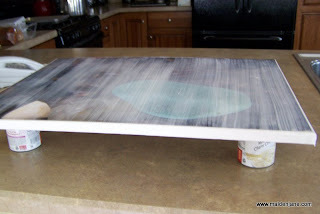 I had tried hanging a nautical painting in there but the moisture in the room started to warp it. 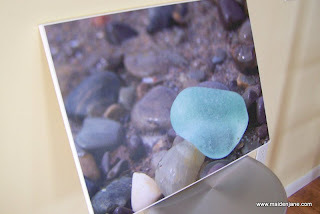 I had been reluctant to place anything in there, particularly photos. 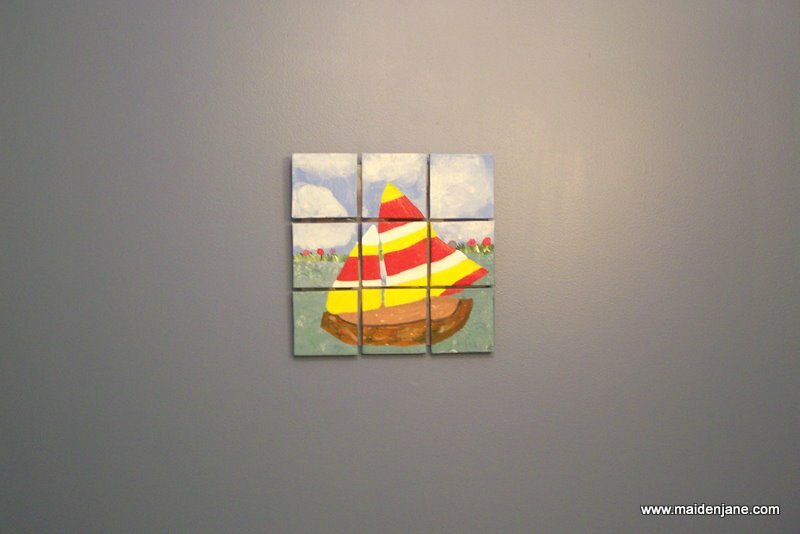 Annie painted a 9-block canvas with a sailboat but the arrangement is really too small for the wall. Seeing the faux photo canvases on Pinterest, I thought I’d give it a try. I purchased a canvas, had my photo printed at Walgreens and Modge Podged it with Matte Modge Podge. A little bit of streaking does occur, but it is only visible depending on the angle of the light hitting the canvas. I can’t get the color to show up very well due to the lighting constraints. But I think the photo canvas will give the wall a bit more drama. I will see how well it holds up to the moisture, too. Very cool idea! Hmm,now where did I put that Michael’s coupon…. Just love your photo. You know how I feel about beach glass. 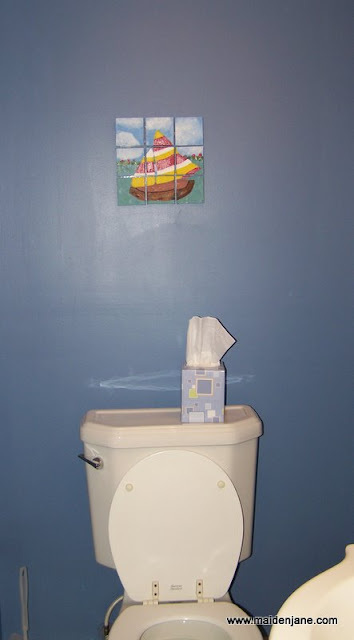 lol Great way to mount it for the bathroom. Gorgeous photo. Nice addition to the wall. I hope it holds up to the moisture. it looks great. I hope it holds up to the moisture too.